Cider has been a popular drink in the UK for centuries, particularly Somerset cider. In Somerset, apple orchards grow in abundance and their soil, and climate are vital ingredients in cider making, in the same way as vineyards are to wine. Traditional farmhouse cider making in Somerset owes its origins not just to the historical apple orchards of monasteries but to generations of small farmers throughout the county. Farmhouse cider has been produced in the county of Somerset in South West England for centuries and was very much the lifeblood of the county. The earliest recorded mention of cider is back in 1066 following the Norman Conquest; the Normans had a strong tradition of apple growing and cider making. In 1664 the first sparkling cider was made at Montacute. In 1894 there were 24,000 acres of cider orchards recorded in the county, however, mechanization and the decline in popularity of cider has seen that number decline dramatically. Since the mid-nineties, ​there has been renaissance in producing Farmhouse cider and the replanting of, and restoration of traditional cider apple orchards. There are tiny orchards making the highly potent brew of farmhouse 'scrumpy' the true Farmhouse Cider which is made from pure cider apple juice, pressed and matured in oak barrels on the farm. It produces a cloudy, pale-colored cider with a strong smell and taste of apples and a slightly bitter after-taste. Commercial operations produce a smooth refined cider popular in the U.K. and overseas. Demands for cider shot up when Magners was launched with £22million advertising spend and cider became chic and young. Commercial cider is processed and sweetened and a very different product to farmhouse cider. More often than not this is the drink served in pubs (many of which are owned by the large breweries) and bought in supermarkets. Another famous drink from the area is an Apple Brandy, called Somerset Royal. The first written records of Cider Brandy go back to 1678 but recently there has been a revival of interest, led principally by the Somerset Cider Brandy Company which in 1989 was granted by HM Customs, the first full cider distilling license in recorded history. ﻿Most will recognize apple juice as a sweet drink. However, a new company of independent cider-orchard owners - Somerset Orchards –came together in crisis when a major cider producer stopped buying their apples. They launched their first product a single variety Cider Apple Juice. It’s not as sweet as apple juice made from desert apples, and very refreshing. 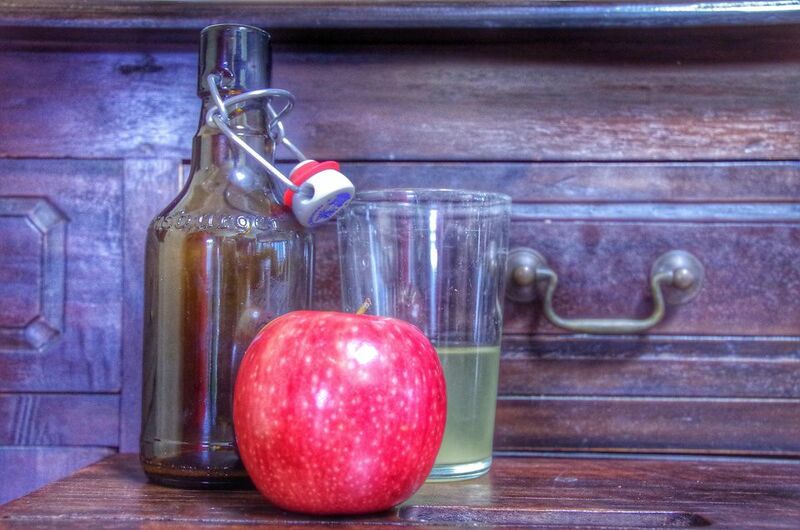 In past times, drinking cider was regarded as healthier than drinking water. Cider vinegar mixed with honey is still taken to prevent arthritis. New research shows that cider has high levels of anti-oxidants, not unlike red wine. However, as Farmhouse cider is higher in alcohol than beer it should always be drunk in moderation.